Proposal abstract: Shape is a conspicuous and fundamental property of living multicellular organisms. Recent advances have highlighted that shaping of tissue, organs or organisms entails the interplay between biochemical and mechanical processes regulating collective cell behaviors and thus tissue movements. Yet, it remains poorly understood how gene expression patterns specify distinct local cell dynamics within a proliferative epithelium to general complex shape. To decipher the mechanisms of epithelial tissue morphogenesis, we aim to bring together spatial transcriptomics approaches, physical methods and bioinformatics to understand how combinatory gene expression patterns quantitatively account for the complex cell dynamics observed in Drosophila tissues. Altogether, our interdisciplinary project will provide a general framework to advance our understanding of the complexity of morphogenesis in animals. Proposal abstract: Tumors are complex ecologies that are affected by numerous stromal factors that dampen or enhance the effects of tumor cell genetic alterations. Cancer-Associated Fibroblasts (CAF) are the most abundant stromal components that drive coevolution of malignant cells and their supportive niche. Partners of the CaLyS proposal have obtained solid preliminary results showing that CAF heterogeneity and functions have been widely underestimated. Indeed, Partners 1 and 2 have both identified different subsets of stromal cells that display distinct functions. By combining their unpublished data, they observed that there is a significant overlap in identity and function between stromal cells of normal lymphoid organs, B-cell lymphomas and solid cancers. Indeed, some subsets of stromal cells identified in lymphoid organs and breast cancers exhibit significantly conserved transcriptomic signatures and display similar protumoral and immunosuppressive effects. These data further highlight the relevance of comparing stroma in solid cancers and lymphoid neoplasia. the selection of best combination of RDs candidates taking into account the uncertainties in the model, and the potential state heterogeneity of the cell population. The resulting framework will be evaluated experimentally for the reprogramming of adipocyte and osteoblast cells. Proposal abstract: Tumors are heterogeneous in the composition of their immune infiltrate, a fact that is clinically relevant because the density, composition and functional state of tumor-infiltrating immune cells impacts on the response to chemotherapy, targeted agents and immunotherapy. Leukocyte infiltration of tumors is dictated by chemotactic factors, most of which are initially produced by malignant cells and later can be generated by immune and stromal cell subpopulations as well. We will mechanistically dissect the heterogeneity of the immune infiltrate by analyzing the intensity, spatial arrangement and functional characteristics of the relationship between malignant and immune cells determined by chemotactic factors. For this, we will use a combination of systems biology methods, sophisticated ex vivo and in vitro culture techniques and data-driven and signaling network-based mathematical modeling. We anticipate that our multi-team effort will furnish an explanation for the heterogeneity of the immune infiltrate, yield biomarkers for risk stratification and unravel novel therapeutic strategies. Proposal abstract: Despite of their great promise, high-throughput technologies in cancer research have often failed to translate to major therapeutic advances in the clinic. One challenge has been tumour heterogeneity, where multiple competing subclones coexist within a single tumour. Genomic heterogeneity renders it difficult to identify all driving molecular alterations, and thus results in therapies that only target subsets of aggressive tumour cells. Another challenge lies in the integration of multiple types of molecular data into mathematical disease models that can make actionable clinical statements. We aim to develop predictive computational technology that can exploit molecular and clinical data to improve our understanding of disease mechanisms and to inform clinicians about optimized strategies for therapeutic intervention. We propose to focus on prostate cancer, a leading cause of cancer death amongst men in Europe, but also prone to over-treatment. Our approach combines the exploitation of genomic, transcriptomic, proteomic, and clinical data in primary and metastatic tumours, prospective cohorts of well characterized prostate cancer patients, drug screenings in cell lines, and the use of the Watson technology, a last generation cognitive computer developed at IBM. The translational objective of this study is to develop technology for identifying disease mechanisms and produce treatment recommendations for individual patients based on a therapeutic biomarker panel. The proposed software framework will be accessible through a graphical interface that will facilitate its dissemination and use by researchers, clinicians, and biomedical industries. The framework will provide intuitive tools to deposit, share, analyze, and visualize molecular and clinical data; as well as to infer prognosis, elucidate implicated mechanisms and recommend therapy accordingly. 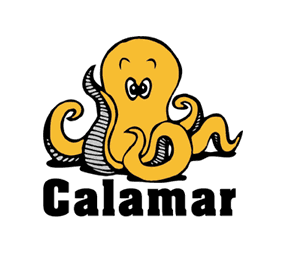 This software framework will serve as a proof of concept for future development by industrial partners in Europe. Proposal abstract: Colon cancer (CC) is a major cause of death. Current treatment involves chemotherapy combined with anti-EGFR or VEGF drugs and radiotherapy. Screening for biomarkers can indicate whether EGFR-inhibitors will be effective in patients, but otherwise biomarkers for personalizing patient treatment are scarce. First-line combinations of chemotherapy and EGFR-inhibitors for patients being RAS wild-type have led to an increase in overall survival to more than 30 months. However, most patients develop RAS mutations under anti-EGFR therapy, or do not respond to EGFRi for unknown reasons. The majority of patients develop resistance and succumb to the disease. We still have a poor understanding of how gene networks drive cancer, how they modulate response, and how they induce resistance to treatment. Good disease models that provide insight are simply lacking. With the availability of large public data resources, our unique collection of patient samples and patient-derived models and with computational and experimental approaches becoming mature, the COLOSYS consortium aims to develop in silico therapy response predictors. These will allow precision medicine, based on patient-specific driver and resistance mechanisms. We will identify new CC tumor driver genes by integration of multiple data types from large public tumor data repositories. A high quality, open repository of data and knowledge (knowledge commons) will be assembled and used to construct multi-scale computer models of the molecular networks that underlie cancerous cell proliferation. Logic model simulations will predict the effect of drugs in cancer cell lines and patient tumors. We will test these predictions on cell lines as well as patient-derived cell cultures, organoids and mouse xenografts, and perform preliminary testing in patients. The combined computational, experimental and clinical testing will provide a thorough understanding of resistance mechanisms, and allow personalised treatment of colon cancer. Proposal abstract: Deregulations in biological networks are key events in pathogenesis of cancer, whose knowledge opens the road to improved therapeutic strategies. In Medulloblastoma (MB), the most common malignant pediatric brain tumor, these network deregulations are not well understood and therapeutic success is still limited. Using gene-profiling, four different subgroups of MB were characterized with very distinct biological features and clinical outcome. In spite of these precise molecular descriptions, understanding of the complex mechanisms of MB progression is still lacking. As a direct consequence all patients regardless of the MB subgroup are treated with the same conventional therapy. We hereby propose the use of a multi-scale analysis and network modeling to unveil how molecular mechanisms are orchestrated in MB cancer cells and are linked to patient outcome. To this end, we will capitalize on our collection of flash-frozen MB samples, and our validated experience in cutting-edge high-resolution proteomics; we will build a model that uses different levels of omics data and, importantly for the first time in the field, we will include system-wide proteomic and phosphoproteomic analyses. Our models will allow us to test hypotheses regarding the differential mechanisms underlying MB subgroups and their prognosis. Ultimately, results obtained by computational analysis will be functionally validated using relevant biological models. Our approach will result in a multi-scale model of relevant pathways in MB subgroups, a molecular characterization of these subgroups, and proposition and validation of new biomarkers and therapeutic targets. Altogether, this project is a multidisciplinary effort bringing together clinicians, biologists and expert in biostatistics and systems biology. This collaborative work will fill the existing gap of knowledge in pediatric brain tumors and lead to major breakthroughs that help us build the road toward efficient personalized therapies. Proposal abstract: As large quantities of data are being generated in today's scientific, societal and economical environments, the design of automated methods to analyze these massive and complex data in order to extract useful informations has become a challenge of paramount importance for many application domains, including scientific research. It raises new computational and mathematical questions, and requires tight collaborations between application domain experts and methodological experts from computer science, statistics and applied mathematics. The goal of this project is to support data-intensive science and education at PSL by fostering collaborations between domain and methodological experts, and supporting world-class research in data science. Through specific actions we propose to bring together the broad data science community at PSL and create a cross-disciplinary and cross-institutional virtual hub of research and education, the PSL Institute for Data Science (PIDS). Proposal abstract: Cancer development is believed to be governed by appearance and accumulation of driving mutations that collectively reprogram molecular mechanisms at the level of global cell populations. However, these mutations may also have more general systemic effects: in particular, they may trigger diversification of cell properties leading to an increased cell-to-cell variability at the basis of the remarkable adaptation potential of cancer cells. Single-cell RNA-seq profiling provides an exciting opportunity to investigate the heterogeneity of cancer cell populations directly (Shapiro et al, 2013) by measuring individual cancer cell transcriptomes. Ewing sarcoma (ES), a pediatric cancer characterized by the expression of EWS-FLI1, an aberrant chimeric transcription factor, is characterized by very few somatic mutations and a very low sub-clonal genetic heterogeneity. Nevertheless, it exhibits all features of the remarkable adaptation potential of cancer cells suggesting that this potential is not a simple consequence of a mutation-based Darwinian selection process. We aim at characterizing and mathematical modeling the effects of the EWS-FLI1 oncogene on the structure of the cell-to-cell transcriptome variability. Inducible systems have been previously characterized and mathematically modeled at the averaged cell population level (Stoll et al, 2013). Pilot studies already proved the feasibility of the single cell RNA-Seq approach. The objectives of the project are: 1) characterize the dynamics of cell-to-cell variability induced by EWS-FLI1 activation and map the variance distribution onto various cellular functions; 2) explicitly model the process of adaptation in cancer cell populations mediated by biological networks; 3) validate the predictions in targeted experiments. The partners of the project are geographically co-localized, have proven expertise in both wet and computational systems biology and have a long record of successful collaboration on the systems biology of ES. Proposal abstract: Tumors are composed of a complex microenvironment (TME) that critically impacts progression and response to therapy. It includes tumor cells, fibroblasts, and a diversity of immune cells, among which dendritic cells (DC) and T helper (Th) cells link the sensing of tumor-related danger signals to an effector adaptive immunity. Most studies have focused on individual cell types in model tumor systems, and/or on individual molecules mediating a crosstalk between two cells. Unraveling the complexity, organization, and mutual interactions of TME cellular components represents a major challenge. In this project, we combine 1) high quality experimental data from human primary tumors, 2) literature-derived knowledge on molecular pathways and cell-cell interactions, 3) large-scale data analysis, and 4) mathematical modeling, in order to go from a detailed multiparametric description to an integrated multiscale model of the TME in breast cancer. We will consider five modules: whole tumor, tumor cells, fibroblasts, DC, and Th cells. Each module will be characterized by experimental data (cellular and secreted TME, transcriptional profiling), molecular network inference and modeling, and potential communication channels with other modules (input/output signals). Modules will be linked by reconstructing cellular interaction networks. Validation of model-derived hypothesis on human tumors will ensure the relevance to human cancer. A major output of our project will be an integrated multi-scale model of cell communication networks in breast cancer, together with detailed models of individual TME modules. This will bring a unique insight into the complex organization of human cancer, open up possibilities to perform simulations and predictions following therapeutic perturbations, and to identify new diagnostic and prognostic tools to guide the clinical management in breast cancer. PIC3i "Tumor microenvironment: Global view of CAF heterogeneity and functions in Tumorigenesis"
Proposal abstract: The	goal	of	this project	is	to	generate	a	comprehensive	understanding	of	CAF	composition	in	human	cancers	and	to	investigate	the	role	of	the	4	fibroblast	subsets	in	tumor	development	and	clinical	outcome. Although	CAF	functions	are	manifold	in	solid	tumors,	we	lack	a	global	understanding	of	how	their	physical	and	biological	properties	impact	on	tumorigenesis. This	proposal	aims	at	defining	a	systems-level	view	of	CAF	heterogeneity	and	functions in	cancer. To	reach	this	goal,	will	first	study	the	molecular	features	of	each	CAF	subset	to	address	their	specific	signatures and	clinical	impact (Objective 1). Second,	we	will	investigate	interactions	of	the	4	CAF	subsets	with	the other	surrounding	cells. We	will	use	existing	comprehensive	maps	of	cell	communication	networks and	complement	them	with	the	new	comprehensive	map	of	CAF	signaling,	formalizing	existing	knowledge. Medium	to	high-throughput	data	will	be	visualized	on	top	and	used	for	making	these	maps	specific	to	the	studied	experimental	systems. Network	reverse-engineering	methods	will	provide	information	on	the	most	active	signaling	channels	between	ligands	and	receptors,	involving	CAFs. CAF	spatial	distribution	relative	to	the	other	cellular	nodes	will	also	be	assessed	by	immunohistochemistry	combined with	automated	image	analysis	(Objective 2). Last,	we	will	study	how	CAF	modulate	tissue	stiffness	and	cancer	cell	invasion	by	orchestrating	mechanotransduction	pathways (Objective 3). Proposal abstract: In this interdisciplinary project, we apply advanced tools from mathematical physics and mathematics (such as Markov chains, Google matrix, random matrices) to Big Data field, with applications in multi-product trading, multi-language network of Wikipedia, mobile phone networks, systems biology. Proposal abstract: Metastasis starts with invasion of surrounding tissue by tumour cells. It requires remodelling of the extra-cellular matrix and Epithelial-to-Mesenchymal Transition, loss of cell adhesion and polarity and increased motility. Understanding invasion mechanisms is crucial to improve prognosis and develop new cancer treatment strategies, but we still lack a detailed explanation of this process. The project combines efforts of six computational and molecular, cell biology and clinical teams to characterize the primary step of tumour invasion into the surrounding tissue, create a multiscale mathematical model to explain this phenomenon, and apply the model to breast tumours. The first direction is the creation of a comprehensive map of molecular interactions involved in invasion from literature mining. The second direction consists in characterizing modes of tumour invasion in experimental models of tumour invasion: cell lines, tumour multicellular spheroids and human-to-mouse xenografts. The third direction deals with the role of the tumour microenvironment (TME) in invasion. TME components derived from tumours will be profiled and tested on experimental models. A multiscale model of invasion will be built recapitulating invasion modes observed in the experimental systems. It will be based on parameters obtained by molecular assays or image analysis. The model will be validated in experimental systems by gene silencing experiments aiming at changing the invasion mode types. The model will be challenged with available expression, immunohistochemistry and histopathology imaging data from tumours. Finally the project will deliver signatures of invasion in tumours and TME, and a computational model mimicking invasive tumours. This model will allow running various invasion scenarios, predicting invasiveness of tumours and simulating interventions reducing metastasis. The project will bring insights into the mechanisms of tumour invasion common to breast and other solid tumours. ABS4NGS (Solutions Algorithmiques, Bioinformatiques et Logicielles pour le Séquencage Haut Débit). This project collets biologists, bioinformaticians, computer scientists, statisticians to suggest new methods and computational approaches for the challenge posed by the analysis of the data produced by applications of novel sequncing technologies. PIC SysBio "Genetic Interactions in DNA repair pathways and cancer"
Proposal abstract: Many progresses into the description of molecular mechanisms governing essential cellular processes linked to cancer has been done in the recent past. This, together with available tumor molecular profiles catalogues, has open the way to the study of tumorigenesis and tumor progression mechanisms by computational systems biology approaches. Many cancers have inherited or acquired mutations in the DNA repair machinery. Since genomic instability is a hallmark of almost all solid cancers, DNA repair mechanisms that control genome integrity have been extensively studied in the last decade. There are at least seven main known DNA repair pathways. These do not function independently, but represent a complex signaling network with compensatory mechanisms and feedback regulatory loops. The mathematical modeling of this interaction network, the so-called systems biology approach, is required to unravel this complex picture using formalized biological knowledge in the form of signaling networks, and integrating high-throughput data, clinical and other data together. The proposed PIC will address these issues using a multidisciplinary approach involving biologists, mathematicians, systems biologists and clinicians. The aim of the PIC-SysBio project is to explain the basis of synthetic lethal interactions and, through the development of detailed interaction maps and mathematical modeling, predict new synthetic interactions between the genes implicated in DNA repair and cancer-related pathways. This in turn will allow the responses and eventual resistance to cancer drugs to be predicted, and new treatment strategies to be proposed. Agilent Technologies Inc. attributed an Agilent Thought Leader Award to the "Computational Systems Biology of Cancer" team in recognition of the pioneering development of user-friendly, Web-based bioinformatics tools for systems biology. The award supports the work in developing a database of cellular signaling pathways and a visualization tool to help the pharmaceutical industry develop more effective cancer treatments. This is a small project for developing large-scale analysis of DNA methylation data, using blind signal deconvolution statistical techniques, with aim to determin signatures based on DNA methylation patterns of exposure to certain environmental factors (such as smoking). ASSET: Analysing and Stryking the Sensitivities of Embryonal Tumours, EU FP7. The large-scale collaborative project (11Meuros, 15 partners) applies a systems level approach to study embryonal tumours (ET), which are dysontogenetic tumours whose pathological features resemble those of the developing organ or tissue of origin and include the entities neuroblastoma (NB), medulloblastoma (MB) and Ewing sarcoma family tumours (ESFT). Systems biology of Ewing sarcoma: high-throughput phenotyping and mathematical modeling. The project aims at systematically characterizing roles of the main genes/pathways regulated by EWS/FLI-1. This project aims at iterative cross-validation of high-throughput experimental methods with computational systems biology modeling. Servier-Curie Alliance project was devoted to finding new therapeutical targets for treating triple-negative basal breast tumors. Our group was responsible for implementation of the systems biology approach in this project. The multidisciplinary approach adopted in the APO-SYS consortium has aimed at obtaining major progress in the comprehension of cell death in human diseases, in particular cancer and AIDS by combining a series of systems biology approaches, in silico, in vitro (in organello and in cellula), in vivo, and by integrating experimental results with large data sets acquired on tissue samples from patients suffering from diseases that are caused by dysregulated apoptosis. The final results obtained during this project resulted in new refined cell death pathway models, in new knowledge for the optimization and calculation of prognoses and predictive parameters for the diseases as well as new guiding strategies for the amelioration of existing treatments and the identification of novel targets for therapeutic modulation of apoptosis. The APO-SYS consortium started with 23 partner institutes from across Europe with a total of 26 principal investigators from various research areas including biology, biomedicine, bioinformatics, biomathematics and biostatistics. During the contract period one partner (Medicel Oy) left the consortium due to financial problems. Partner 6 (UUlm) has moved to another University and became Partner 24 (KGU) (a full list of partners can be found in Annex I). 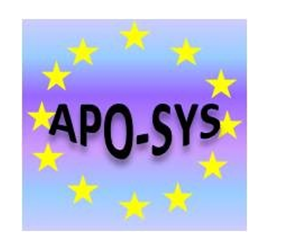 The Scientific Advisory Board in APO-SYS consortium, included Professor-Emeritus Sten Orrenius (Sweden), Prof. Pierre Golstein (France) and Prof. Olaf Wolkenhauer (Germany) and has supported the consortium during the 4-years project period (2008-2012). Coordination of the project was led by Prof. Boris Zhivotovsky from the Institute of Environmental Medicine, Karolinska Institutet. An impressive list of 512 peer-reviewed publications appeared in scientific journals during the course of the project, and the list is still growing. APO-SYS was called "one of the most successful project with FP7". Compositional modelling and Analysis of LArge MoleculAr Regulatory networks - application to the control of human cell proliferation) is a project financed by Agence Nationale de la Recherche in the SYSCOMM program. SITCON is a project financed by Agence Nationale de la Recherche in the Systems Biology program. It is devoted to the study of EWING cancer. The principal objective of this project is to understand how a chimeric oncogene EWS/FLI-1 deregulates cell-cycle such that it leads to pediatric tumors and the tumoral phenotype in experimental cellular systems. MATBRAC (Mathematical theory of biological robustness with experimental applications in cancer systems biology) is a project financed by Institut des Systemes Complexes Paris Ile-de-France in the Appel d'offre a idees 2007 program. DARPA Fundamental Laws of Biology (FunBio) program. Organised by the Defense Sciences Office, it is a team of biologists, mathematicians, and physicists working together. 2007-2008 French-Israel Research Network Program in Bioinformatics: "Analysis and representation of cancer-related signaling networks" with Ron Shamir's group. The main goal of this project is to develop new methods in order to study various types of tumors by integrating expression and genome microarrays and prior knowledge of various regulatory networks known to be altered in cancer. The analysis is expected to provide new understandings of the molecular biology of tumorigenesis and tumoral progression, as well as new tools to classify tumors. Specifically, the goal is to detect new regulation pathways involved in several types of cancer. The goal of this coordination action (CA) to establish a European framework for a systems biology approach to combat complex diseases using cancer as a prototypical problem. The coordination action is fundamentally based on existing resources of leading research groups in Europe. It unites groups with a strong clinical focus, with experience in high throughput functional genomics as well as with computational and systems biology resources. Moreover, it brings together groups from some of the largest European cancer research organisations and centres.